Located in the heart of the Las Vegas Strip at the Paris Hotel Casino & Resort, Sugar Factory American Brasserie is a 30,000 square-foot space, offering both sweet and savory American culinary favorites. Visual and palate pleasing to each guest to walk through the door, Sugar Factory serves every meal from breakfast to late-night, and of course endless decadent desserts served 24 hours a day, seven days a week. 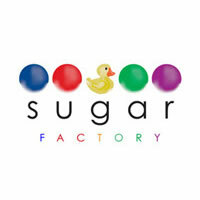 Of Note: Staying open 24 hours a day in the heart of the Vegas Strip means Sugar Factory will often serve over 1,500 guests a day. Using filtered Vero Water instead of importing bottled water helps keep almost 500 bottles out of landfills each day at this restaurant alone.